This week's Retail Review is really a smattering of stuff that interested me today. There's a little baseball, a little hockey, and even a pack of Game of Thrones! 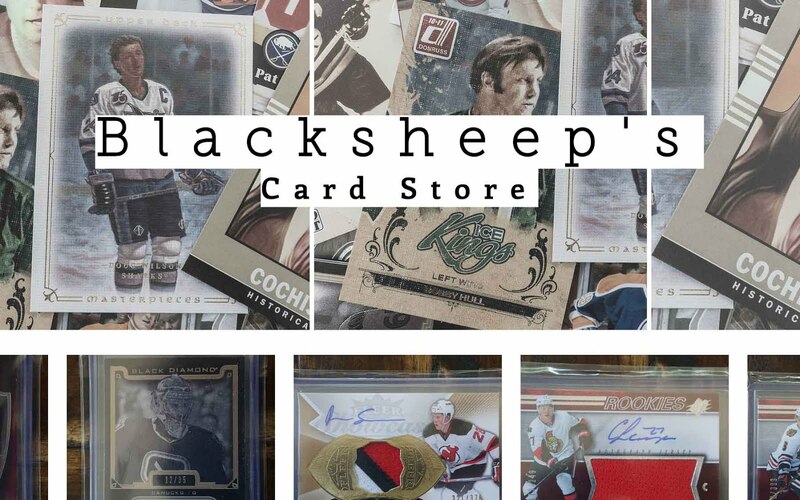 Non-sports cards are getting more and more popular as autograph and memorabilia cards become more prevalent in these products. 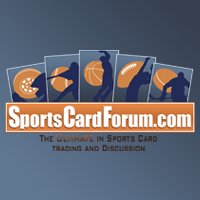 It's cool to see the card market expand out like this so that more people can enjoy collecting cards. With hockey being just about bone dry at my local Target, I decided to try a baseball re-pack. It is baseball season right now, and I thought it'd be appropriate to open some of it up. 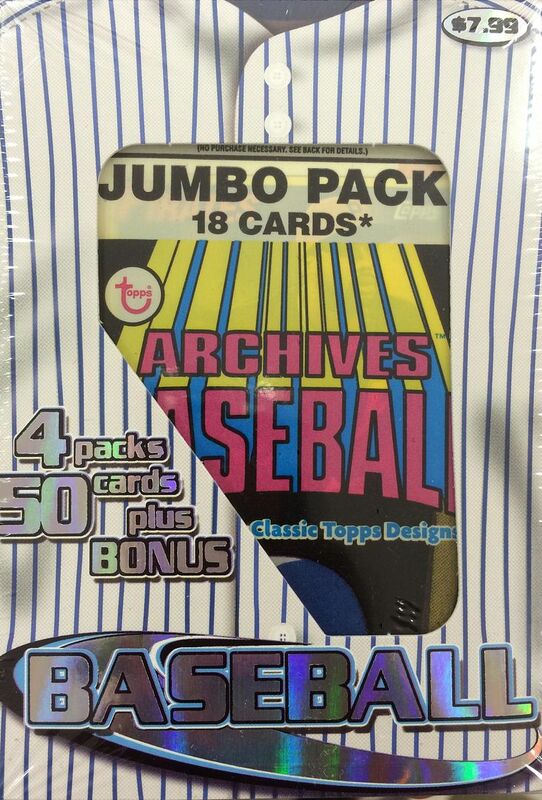 This particular re-pack was of interest to me because I saw the Archives pack on the top. You guys know I'm a sucker for this product, so I decided to just go for it. The Topps brand actually has some pretty sweet stuff you can get even in their cheapest products, so I don't feel I got too bad of a deal with this re-pack box. 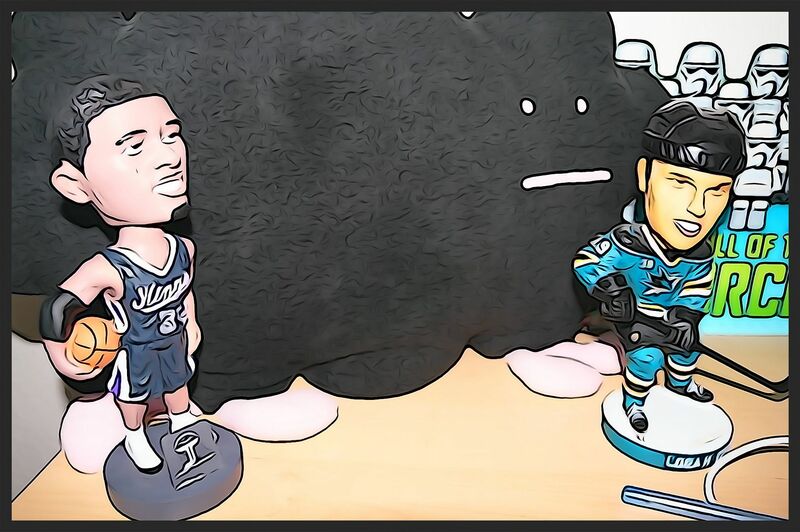 The two hockey packs were really just to keep hockey alive and well on the blog. I'll always try and get hockey into the mix if I can. My final pack choice was the Game of Thrones pack. I am a big fan of both the books and the HBO series. Getting an autograph in a retail pack is extremely difficult, and I knew I probably wouldn't get one, but I did just want to try out a pack and see how they were. The size of the packs and unfamiliarity with the products made it feel like a bit longer of a break than usual. I'm really not sure what I pulled out of these packs! I know that Topps does put short-prints into their products, so I'll have to see if I got any in this break. Being a bit unfamiliar with the products made opening them more fun. It was a mystery to see what I would get. Sometimes with hockey cards I already have a set expectation about what will come out... and usually that's exactly what does come out. I definitely felt my inexperience with Topps products today. The pack I think I was most excited for was the Game of Thrones pack. I didn't expect to pull anything great, and nothing really good came out, but seeing the characters on the cards was very sweet. Game of Thrones has definitely taken all who watch it by storm. I wish I could try and collect the set, but I know some of the autographs that come out of it are very hard to find... and yes... expensive too! 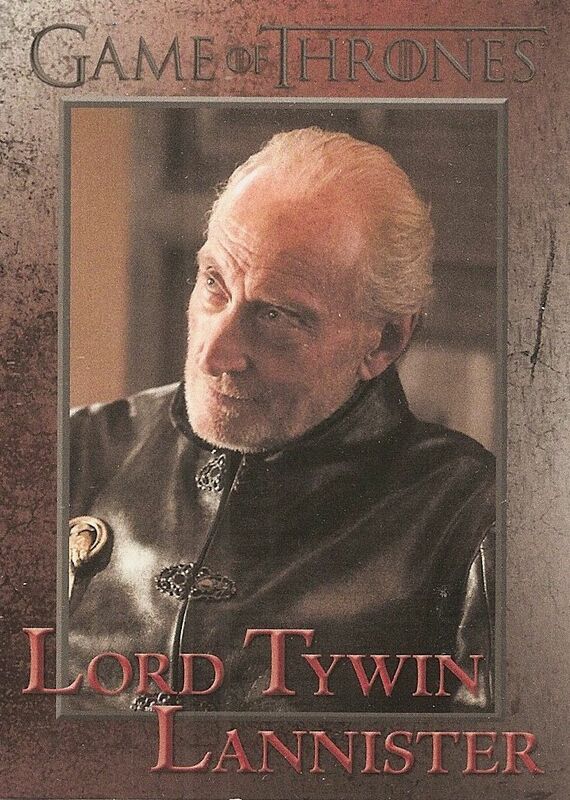 I really like characters like Tywin Lannister. He rules with absolute power, even when his title isn't the highest of all. Getting a Young Gun in two packs is beating the odds! 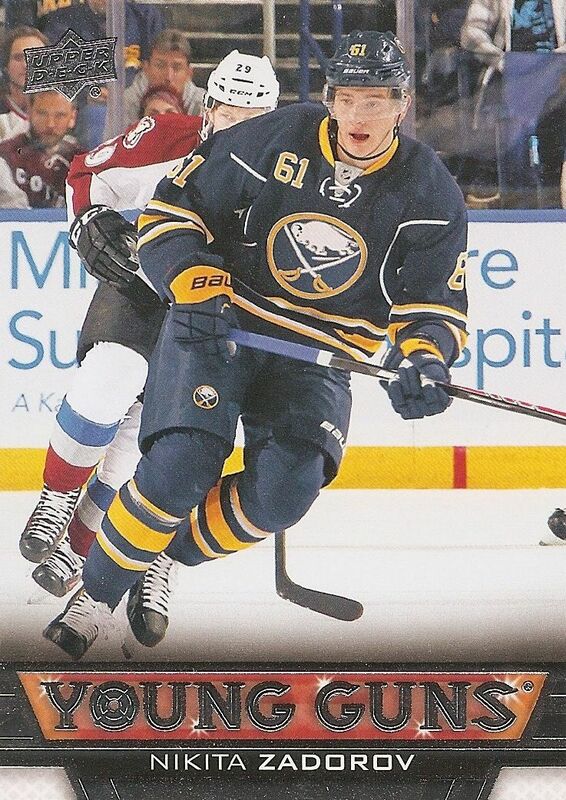 Yes, it's not the best Young Gun, but you never know who'll be the next big break out... maybe it's Zadorov! 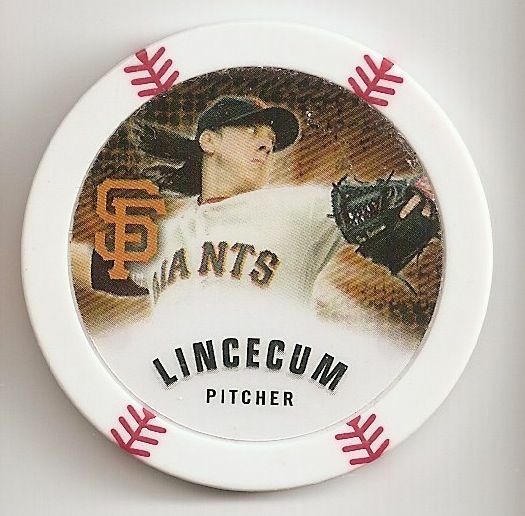 I'm not really sure what this is, but it was made by Topps and looks like a poker chip. I think this is a unique collectible, and I was glad to find it in my Target re-pack. The monetary value of this break probably wasn't too great, but I did enjoy it. Like I said earlier, opening unfamiliar product brings a bit of excitement into busting product. I was glad to put together this little break for this Retail Review. I'm definitely tempted to go for more packs of stuff to add variety!